Enjoy our best perks this winter - with our compliments! Hold your meeting at Hyatt Regency Lake Tahoe any time between Dec. 1, 2016 and April 16, 2017 and enjoy all the incentives below with our compliments. Tahoe Peaks & Perks. You'll enjoy all of the incentives above and benefit from our low mid-winter rates. Use all the money you'll save to enjoy amazing teambuilding experiences, like a lake view mid-mountain wine tasting or a seasonal cooking demo with one of our expert gourmet chefs. 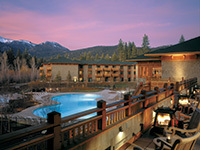 Click here to learn more about Hyatt Lake Tahoe meetings. If you are ready to begin the planning process, please submit a RFP today and request offer code PEAKS. A member of our team will be in touch promptly. Want to chat with us directly? 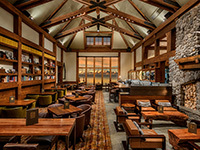 Please reach out to Brian Lang, Sales Office, at Brian.Lang@hyatt.com, or 775.886.6689. 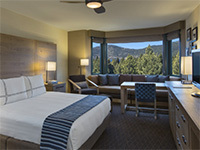 Offer valid for new meetings booked between 11/03/2016 and 04/14/2017 and held between 12/01/2016 through 04/16/2017 at Hyatt Regency Lake Tahoe Resort, Spa and Casino. Must request offer code PEAKS at time of meeting inquiry to qualify for offer and details must be specified in contract (including the definition of eligible and ineligible bookings). Requires a qualified booking of at least 10 paid guestrooms on peak meeting night. Offer must be requested prior to finalization of sales contract and redeemed at the time of booking. 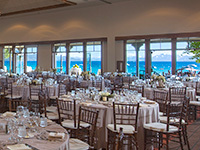 Meeting planners will receive one (1) complimentary upgrade per 25 nights, up to 25 percent Allowable Attrition, 50 percent off meeting room WiFi, ten percent off Audio Visual , ten percent off spa services, and one (1) Complimentary Energizing Coffee Break. Offer inclusions are per stay, subject to availability and must coincide with the meeting. Reservations subject to availability of function space and guestrooms at time of inquiry. Offer not valid in conjunction with previously booked or held meetings or any other promotion or offers. Blackout dates may apply. May not be combined with other offers. Offer applies to all eligible bookings. Meeting planner responsible for all charges related to value-add options not included in this offer. No refunds for any unused portion of offer. No substitutions nor replacement services or products offered for offer inclusions. Qualifying planners who are Hyatt Gold Passport members may also be eligible for Hyatt Gold Passport Planner Rewards bonus points. Promotional blackout periods may apply due to seasonal periods or special events, and normal arrival/departure restrictions apply. Hyatt reserves the right to alter or withdraw this program at any time without notice. Hyatt Hotels & Resorts® encompasses hotels managed, franchised or leased by subsidiaries and affiliates of Hyatt Hotels Corporation. The trademarks Hyatt®, Hyatt Hotels & Resorts®, Park Hyatt®, Grand Hyatt®, Hyatt Regency®, Andaz®, Hyatt Centric™, The Unbound Collection by Hyatt™, Hyatt Place®, Hyatt House®, Hyatt Ziva™, Hyatt Zilara™, Hyatt Gold Passport®, Hyatt Residence Club® and related marks are trademarks of Hyatt Corporation or its affiliates. ©2016 Hyatt Corporation. All rights reserved. See website for more terms and conditions of individual incentive offers.